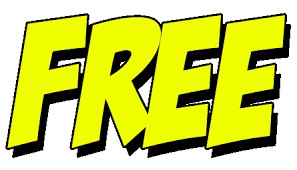 Goodly: Should You Use "Free" in Your Subject Lines? Although the adjective can stampede customers, most experts urge you never use "free" in the subject line of marketing emails. That's because "free" is a so-called "trigger word" which, thanks to spam filters, might well earn you a goose egg in the delivery column. Similar trigger words include "urgent," "guaranteed," amazing" and "unlimited." But there's good news for marketers. As spam filters get smarter, they're learning to distinguish emails sent by bona fide marketers from those blasted by flimflammers. Smarter spam filtration means marketers can take "free" off the list of trigger words. I asked digital guru Jason Falls, who recommends rule-breaking to email marketers, whether you should worry about using "free" in subject lines. "There are actually two reasons it's only a minimal concern," Jason said. "First, only spam filters set to a very high level of filtration would weed it out. I'd guess you've seen some 'free' headlines in your inbox in the last few months. "Also, once you have someone subscribing to your email list, most email systems and filtration methods learn to trust emails that you see, but don't mark as spam. It's sort of a machine-learning way of white listing email addresses. "So using a headline like that with a segmented list of people you have sent to before, have opened before, or are long-time list members means the email is more likely to get through than not."